When you think of Miami, you probably think of nightclubs, beaches, and beautiful people. But, that’s not all Miami has going for it! One of the greatest things about Miami is the climate. 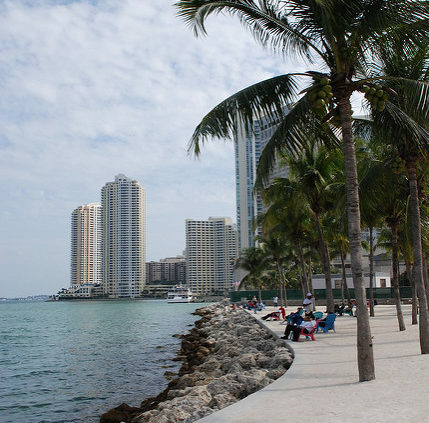 If you like sun, warm weather, and year-round outdoor activities, Miami is the place for you. And if you’re a Miami resident and would like to save on your energy bills, Miami is one of the best spots you can own property! Why? Solar panels! 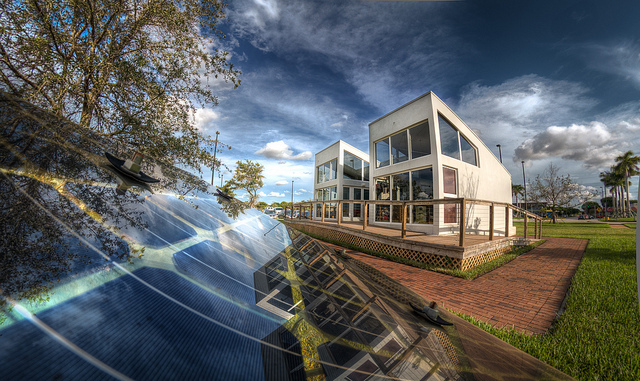 The solar industry is taking off and Miami is not getting left behind. If you’re in the market for solar panels, Miami is the place to be. There are only a few states within the United States that experience above average sunshine per year. And Florida is one of them. Of course when you’re known as the Sunshine State, that should come as no surprise. Miami is known for its sun – but how much sun exactly does this Sunshine State city have? On average, Miami enjoys 5.62 sun hours per day. Couple that with 249 days per year with full or partial sun and this sunny city has 1,399 sun hours per year. That’s a lot of hours you can generate energy from the sun! Beyond sun, sand, and a rocking night life, you might have the notion that Miami is not the cheapest city around. While that may be the truth for real estate and other purchases, it’s not necessarily the case for solar panels. 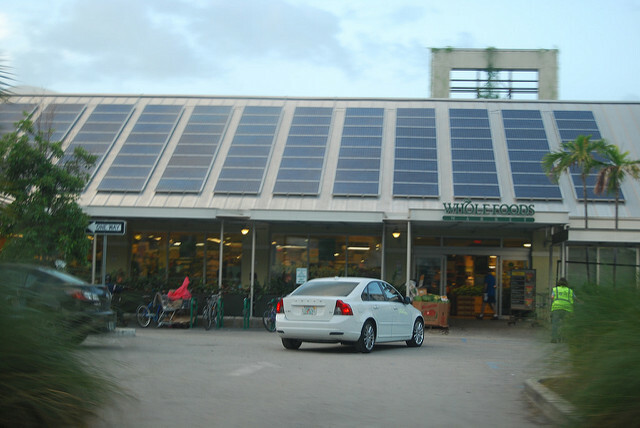 In fact, Miami has been ranked as one of the lowest cost cities in the United States for solar panel installations! The average cost to install solar panels in Miami is $2.25 to $3 per watt. With an average 5kW system installed in most residences, the total cost of a solar energy system in Miami is around $11,250 to $15,000. For comparison purposes, let’s use $13,125 as the average cost. And that’s before any rebates and incentives! When you think about it, $13,125 is not that much money – especially for a system that will last you over 25 years and allow you to collect pure profit after a few short years of paying the system off (average ROI happens around years 8-9). Have you seen the prices of brand new cars lately? They’re far more than $13,000, you won’t receive pure profit from the vehicle, and it’s probably not going to last you 25+ years. When you keep the price relative, you’ll start to realize what a great deal solar panel installation in Miami is. To put it in perspective, let’s talk about yearly savings. If you install a 5kW solar energy system in Miami-Dade County, how much will you save on your electric bill? With an average utility bill of $167 per month, you’ll spend $2,004 per year on your electric bill. But, with a solar energy system installed, you can expect to save $1,100 per year! That’s cutting your energy bill more than half! 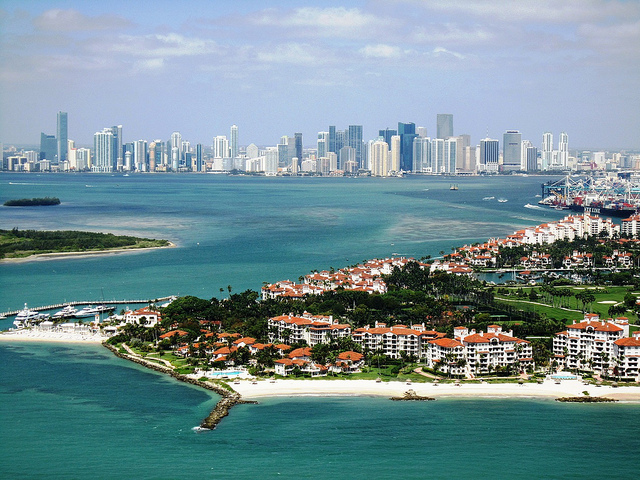 Now that you know Miami is one of the best cities to live in nationwide when it comes to getting a good deal on solar panel installation, you’re going to be even more excited to hear about additional money savings based on federal and state incentives and rebates. The federal tax incentive for installing a solar energy system is one of the best money savings there is – really, the best money saver. The Residential Renewable Energy Tax Credit is a federal tax incentive that allow solar customers to save 30% off the entire cost of their solar energy system installation. That includes parts and installation fees. There’s no limit in price of the system, but there is a deadline to receive this incentive. If you are thinking about installing a solar energy system and want to take advantage of this incredible tax incentive, your solar energy system must be installed and operational by December 31, 2019. Based on our statistics above, this federal tax credit will allow you to reduce the cost of your solar panel installation by $3,398! Florida, in general, doesn’t offer as many solar benefits as other states, but, there are still great incentives and rebates available. Two tax incentives that will surely make you happy if you are a Miami resident and interested in installing solar panels are related to property and sales taxes. Estimates tell us that installing solar panels on your home will almost instantly increase your home’s value by 20%. The great Florida-based incentive is that you don’t have to pay any property taxes on the increase in value! In Florida, the cost of solar panels are also exempt from sales tax! That’ll save you the 6% you’d had to pay in sales tax from the purchase of your system. There are a number of solar rebates that are offered from solar installation companies and the utility companies. They differ by company though. Your best bet in figuring out if you’ll be able to recoup any additional rebates or incentives from local Miami companies is to consult the Database of State Incentives for Renewables and Efficiency – where’ll you be able to sort and search by county. As one of the top solar panel installation cities in the country, there’s no doubt a number of solar installers to choose from in Miami-Dade County. So, which one should you choose? We offer some of the top-rated solar installers in the area (according to Yelp reviews) below. With a wide range of solar solutions, Caliber Green offers custom solar alternatives designed to fit your family's personal energy needs. They pride themselves on not being a cookie cutter solar company, understanding there is no 'one size fits all' solution when it comes to solar panel installation. Caliber Green is a full service solar energy company - from initial consultation to performance monitoring and maintenance. Sunworks has served the South Florida area for the past 30 years with both efficient and cost effective solar energy solutions. They are a licensed and insured solar contractor and FPL-authorized. 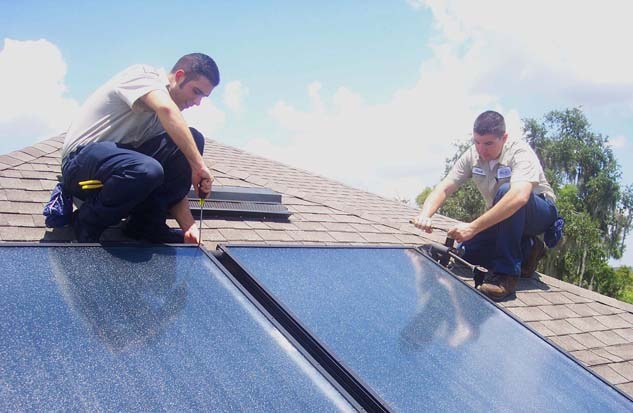 Sunworks is South Florida's first solar heating company and well-established with local builders. They offer both residential and commercial solutions with a full service department. Serving the greater Miami area, Goldin Solar is a five-star rated solar installation company who specializes in both residential and commercial systems. They have a comprehensive background in engineering and construction to bring its customers the most reliable equipment at a low cost.